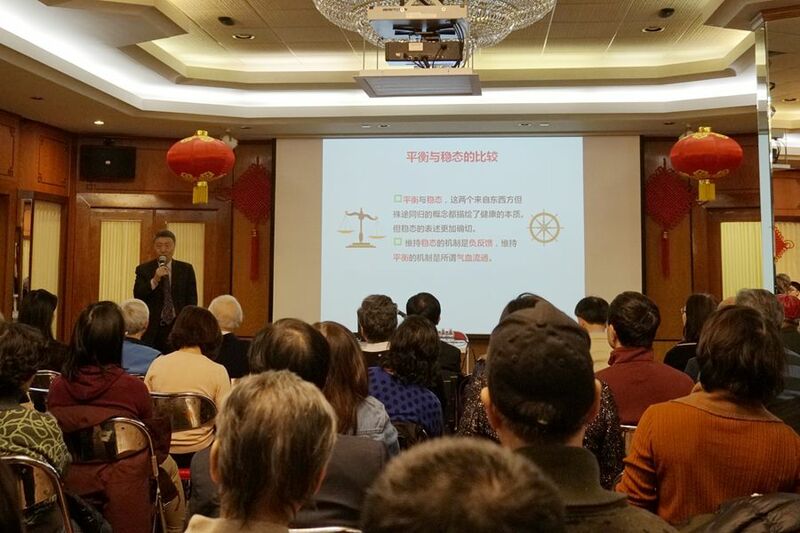 Chinese Consulate General Hosted Public Lecture on "Modern Interpretation of Traditional Chinese Medicine"
On January 13th, 2019, the Chinese Consulate General welcomed Professor Guan-Yuan Jin, a well-known Traditional Chinese Medicine (TCM) expert, to give a public lecture entitled “Modern Interpretation of Traditional Chinese Medicine”. 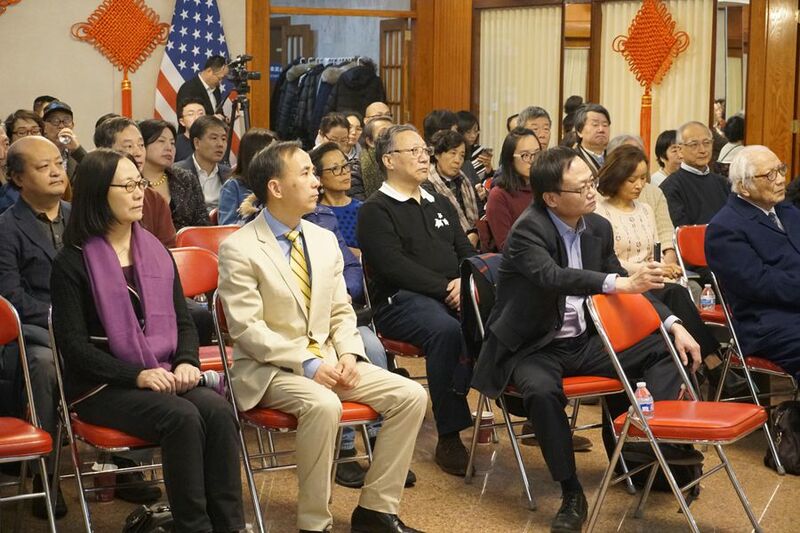 Over 70 people were in attendance, including representatives from Chicago’s overseas Chinese community and various circles, Chinese-language media reporters as well as Consulate General staff members. In his opening remarks, Acting Consul General Liu Jun welcomed and thanked Professor Jin for making the long journey to give this public lecture. Liu Jun remarked that TCM is a fundamental aspect of the intricate universe of Chinese culture. Traditional Chinese culture contains many philosophies that are useful in remedying the problems of our modern world. TCM, being one of them, holds the answers to many of the aches and pains that riddle our bodies in the 21st century. 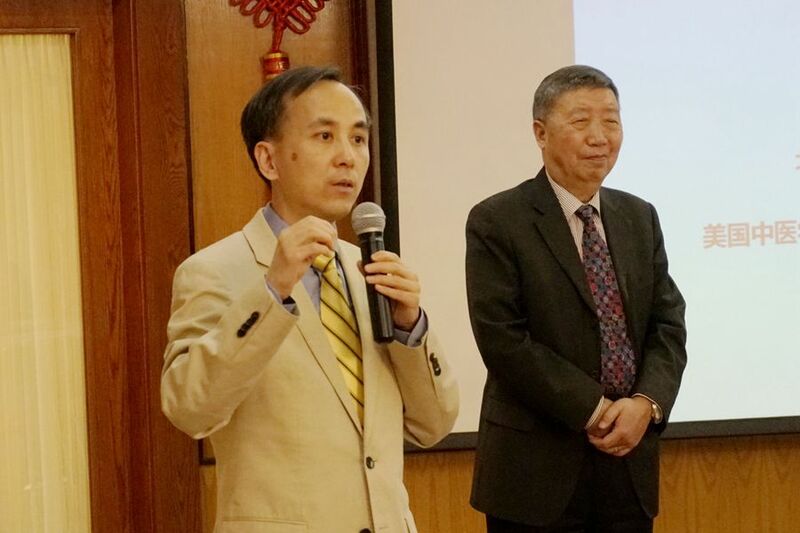 In hosting this public lecture, the Consulate General not only wishes to spread the pearls of traditional Chinese culture, but also to encourage overseas Chinese and local Americans alike to heal their ails with TCM, ultimately furthering mutual understanding between the people of both countries. Professor Jin explained TCM from a medical perspective, unraveling the essence and scientific basis of the three core domains of the practice (acupuncture and moxibustion, herbology, and Qigong) in language that everyone could understand. The audience was blown away by his profound knowledge of and experience in this field. Professor Jin is a licensed acupuncturist in Milwaukee, Wisconsin. 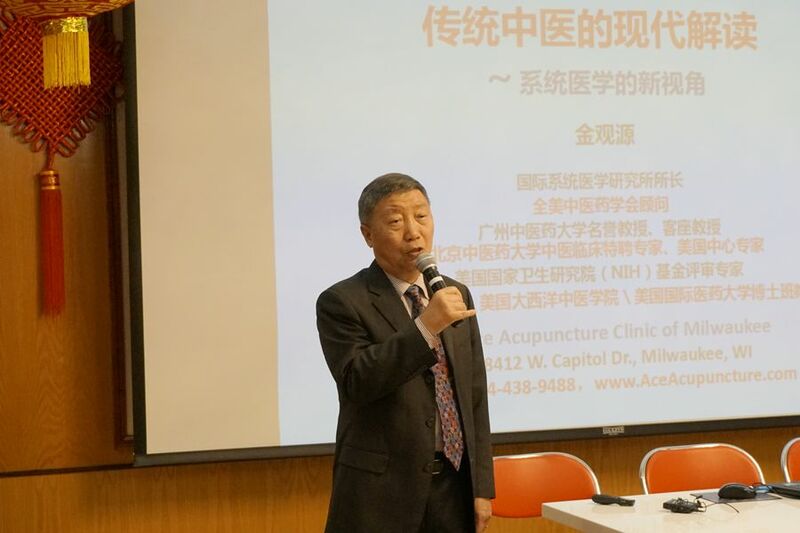 He is currently the Director of the International Research Center for Medical Sciences, consultant for the American TCM Association, and has held positions such as Honorary Professor at Guangzhou University of Chinese Medicine, Special Clinical Expert at Beijing University of Chinese Medicine, and Evaluation Specialist for the National Institutes of Health Foundation. Professor Jin, having over 50 years’ experience in China and abroad both in clinical acupuncture and research, as well as having integrated the medical practices of the West with TCM, boasts a unique background in medicine not many can compare with. Clinical medicine being his strong suit, Professor Jin has treated over 100,000 Chinese and American patients. In carrying forth the tradition of and further developing the method of acupuncture reflex therapy, which itself is based off the fundamentals of the meridian system, his acupuncture needles have cured even the most stubborn of diseases. In addition to these accomplishments, Professor Jin has published a variety of works, among them Clinical Reflexology of Acupuncture and Moxibustion, Cybernetic Acupuncture, and Principles of Systems Medicine.